There are so many amazing 4 Star hotels in Florida and my job is to investigate these hotels to be able to write a review on them. 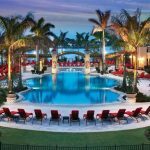 My wife and I live in Florida and are always looking for weekend getaways and she wanted me to explore PGA National Resort & Spa. I have visited the hotel for business in the past was always so impressed how the resort was well maintained and manicured, nothing was out of place. 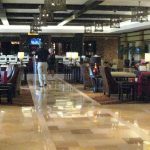 When I entered the lobby of the resort it is so grand and special, I had to write a review if this place would be a suitable place for us to relax and enjoy a beautiful Florida weekend together here. I knew my wife would love the spa and gym and I would be excited to take a golf lesson and play a round. 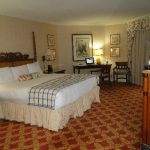 So I needed to see if Palm Beach National Resort and Spa had all we wanted and was within our travel budget. You may be the type of a person that doesn’t mind spending the kind of money that is required to stay at a 4 star resort especially if you want to be treated special during your vacation. Then you will love the PGA National Resort & Spa. This Palm Beach Gardens resort is graced by small lakes and stream, which now includes the PGA’s national headquarters, a symbol of the resort focus is on golf of course. A quick history of PGA is that after several moves to different offices in Florida during the 1960s and 1970s, the PGA found a site in Palm Beach Gardens, Florida to build a permanent headquarters facility, and relocated its operations there in 1981. That same year the PGA and the PGA Tour established a joint merchandising venture which included this amazing resort. Then the PGA started catering to leisure travelers who have come to this resort for the health spa, pools, spa tubs, and other facilities that make this a destination resort for families and couples. Since this resort is all about Golf, you would really want to come here because of this sport. You don’t have to be a professional but have the spirit to learn or get better. Now if you are really a good Golfer and you can play the Championship course, this is where the Honda Classic tournament is played on. Caddies are available to all golfers using the PGA National Resort & Spa‘s championship course. I would recommend you use the caddies to navigate around this course, otherwise, you could be looking for golf balls all day long in the roughs or waterways. The caddy services are available for a surcharge only and include golf-ball and club cleaning, golf-course information, location assistance, club-selection assistance. If you did not come prepared for your golf experience or just starting out with this sport, the PGA National Pro Shop provides a wide variety of resort wear, golf and gift items. This is where you get fitted with perfect set of Clubs. You can rent golf clubs if you don’t want to bring them or if you’re a beginner. For me, as a beginner, I plan to take the group lesson, private lesson are available also. The group lesson are $50 an hour versus $200 for a private lesson, both lessons include clubs and instructor. The Golf Pro Shop is open daily from 7:00 a.m. until 6:00 p.m to service members and their guests. Offering a selection of fine gifts, equipment and logoed golf apparel for both men and women, this state-of-the-art shop, showcases many of the top merchandise and clothing lines, including: Titleist, Callaway, Izod, Polo, Nicklaus, Haley, EP, Bette and Court. Five tournament-ready golf courses, designed by Nicklaus, Palmer, the Fazios, and Karl Litten, considered among the best layouts in Florida. You will be able to find the type of golf course that can meet your needs, from beginners to expert. Can I say, you can be like Tiger Woods or should use another golfer’s name now, not sure. Are the Health Club, Spa and Pool Worth it? Now the Spa aspect of this resort can appeal more to the women but can be helpful to the aging male athlete too, like me 🙂 There is a 42,000-square-foot, cell-phone-free health-and-beauty spa offers saunas, steam rooms, eight-person spa tubs, and relaxation lounges. This spa’s private garden, outdoor Waters of the World complex contains six pools: a large, round, heated swimming pool; two large soaking pools heated to 92 degrees, one containing salt from the French Pyrenees, which is from a large mountain range on the French-Spanish border, the other salt from the Dead Sea, which is from a lake bordering Israel and the West Bank; two 11-person spa tubs (one sunny, one shaded); and a cool plunge pool. If you did not know but the hotel soaking pools are filled with non-chlorinated saltwater — not only it is more buoyant and relaxing for you, but it’s better for the environment! In order to have access to the spa’s pool is complimentary for guests booking spa treatments. Others may use the pools for a daily surcharge when the spa isn’t busy. The spa facilities include 21 massage rooms, eight facial rooms, and two hydrotherapy rooms, which means.a complex of swimming, soaking, and bubbling pools. Treatment options include massage for couples, Reiki massage, which is the usage of spiritual energy to heal a person’s aura or situation.and includes rubbing and kneading different parts of the body, or hot-and-cold stone therapy, which utilizes approximately 85 stones in varying temperatures and sizes. The heat from warm basalt stones penetrates deeply to help loosen and soothe tighten congested muscles. In addition, you have the choice of a alpha-beta-peel facials, facials, body scrubs and wraps, and water therapies in the salt pools. The beauty salon offers hair and nail care (including aromatherapy pedicures), waxing, and makeup and makeover services. I don’t know all about these services but it sure does sound good and very relaxing. I know my wife and I like to stay active and we work out often. So the choice of using the 32,000-square-foot, complimentary Health & Racquet Club is real plus for us. This health club contains a racquetball court, cardio and weight machines, free weights, spinners, and features a separate personal-training room (surcharges for trainers) and locker-room with spa tubs. (The men’s side also contains a sauna.) My wife love the part of the resort, to burn calories to later gain it back with delicious meals later in the evening. The health club also provides complimentary classes include Pilates, which is using the proper body mechanics, movements, truncal and pelvic stabilization, coordinated breathing, and muscle contractions to promote strengthening, or yoga, which is a combination of breathing exercises, physical postures, and meditation. Have fun with dance step, line dance, stretch, pool aerobics, spinning, you will definitely get into shape here. You don’t want anyone around private tap-dance and Pilates. Sessions are available for surcharges. Other services offered for surcharges include nutrition counseling, fitness evaluations, and body-composition testing. Outside the club is a 45-foot, five-lane lap pool. Also which I find very cool, the Health and Fitness Center has a lush zero-entry pool. The big part of the resort is the 19 Har-Tru tennis courts, Har-Tru’s granular surface (also known as clay courts) acts as a shock-absorbing cushion, allowing players to slide into their returns. This prevents the joint jarring stops all too common on hard surfaces. Food is big part of any one’s stay and everyone wants great food. This resort does not shy away from this by offering great restaurants and quick food places. 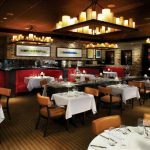 There are seven onsite restaurants and lounges, from the fine steaks and seafood at Ironwood Grille to the crisp fare of Wave Grill The resort provides complimentary breakfast for children younger than 12. There is room service but does have limited hours so asked about the hours when checking in. You may feel the vibrant buzz as you enter the spacious lobby, and enjoy a cocktail in the savvy, sophisticated iBar. Wave Grill – Poolside grill with frozen beverages and traditional favorites. Citrus Tree – Open for breakfast and lunch. Children younger than 12 enjoy complimentary breakfast at the Citrus Tree. 19th Hole – Located next to golf pro shop. Snack food and drinks. Open daily. Waters of the World Café – Located in health spa. Spa cuisine, smoothies, sandwiches. The resort does caters to all sorts of folks and if you have a little money to splurge or planning a big function, like a wedding, you may want to consider this resort because it offfers Limo or Town Car services, The banquet facilities, has a many large ballrooms. Of coarse they can cater all types of events. Then if you have to bring your business meeting to South Florida, this might be a great choice, business and golf. I hear they go together. They have many conference rooms and exhibit space too, which includes audio-vsual equipment, secretarial services, and Internet access – wireless. You will have choices where you can stay within the property, 379 beautifully appointed rooms, suites and cottages create a sense of home. You can choose according to your needs. The one thing I really like is that you can get cribs (infant beds) and rollaway beds (surcharge) are available. Most resort I know don’t offer this and this is a plus when you have a baby or odd number of guests. The PGA National Resort delivers a sense of taste and style that fits your sensibilities yet gratifies with state of the art amenities so you should be getting 4 star accommodations. When you are looking to book your room, you will have different choices, Standard Guestroom Limited View, Superior guest room, Premium guest room all these rooms includes 1 king bed or 2 double beds. Pillowtop mattress. In-room safe. Cable/satellite TV. Television. Premium TV channel(s). Multi-line phone. Free local calls. Voice mail. Clock radio. Coffee/tea maker. Complimentary toiletries. Iron/ironing board. Complimentary newspaper. Blackout drapes/curtains. Air conditioning. Climate control. Each upgrade of the room gives you better view and slightly more space within the room. The Superior guestroom is well appointed with a private terrace or balcony, flat screen television, wireless internet access, dual line telephones, MP3 compatible radios, honor bar, signature bathroom amenities, hairdryers, robes and on-command video service. Now if you want to go more deluxe there are the Superior executive suite and Premium executive suite which features a comfortably furnished bedroom connecting to a living and dining room area, complete with a bar. The bedroom area features a king-size bed and new dressers with ample drawer space. The living and dining room area is accented by modern and contemporary artwork and comes complete with a six-top dining table, desk, plush sofa and chairs, and full bath. Also, the resort offers a type of rental house which they call the cottages. The cottages include a patio with a two-chair dining set, fully equipped kitchens with four-burner ranges, microwave ovens, refrigerators, and dishwashers. Other features include washer/dryers, four- or six-chair dining sets, dial-up Internet access, and VCRs. Contemporary decor and furniture varies from cottage to cottage. The cottages are clustered around little lakes and a swimming pool about 500 yards from the main building. I guess in this day an age, if you have a family, you wouldn’t leave the children behind any more. That is why more and more 4 star resort are accommodating the younger clients. Its a good thing that Palm Beach Gardens is close to Playmobil Fun Park – 5.2 km / 3.2 mi, The Gardens Mall – 5.6 km / 3.5 mi, Roger Dean Baseball Stadium, the “A” team of the Florida Marlins – 6.9 km / 4.3 mi, & Rapids Water Park – 7.4 km / 4.6 mi. If you and your spouse both love Golf and the Spa, I guess you will have to split up your duties and take the kiddies to these fun choices. North of Palm Beach Shores on Singer Island, the 325-acre MacArthur Beach State Park serves as a preserve for coastal habitats and offers two miles of beach. Will this Resort Make You Happy? The people and staff is what make the property really shine and the staff has it all from multilingual porter/bellhop, door person, and front desk. Also the front desk has someone attending it 24 hours a day. With this type of resort, you can be guaranteed with top notch security and guards. Also, within the resort there is a hair salon for those that want to get primped up for any occasion. This hotel has a concierge desk where all your local concerns can be answers from where to go within the resort to the adventurous that want to go explore South Florida. The concierge is a great asset to have when traveling and I really do appreciate this service. The PGA Resort does have all the amenities that most travelers need like ATM/banking, gift shops / newstand, laundry facilities, dry cleaning/laundry service, shoe shine. Complimentary 24-hour shuttle service transports guests around the 2,340-acre resort. This can be a plus for those that don’t want to be hassled with driving, there also is airport transportation (surcharge $30 – $60pp) You may see complementary transportation online but it is not free after I checked with the hotel. Now in this politically correct world of non-smoking, there is some relief for the smokers out there, a designated smoking areas and smoking is permitted on balconies of your room, otherwise the property is smoke free. Florida has high season and low season. The Winter and early spring are definitely the high season and you need to be be prepared to pay more during this time, prices can range from $200+ a night. Remember this resort is the home is home to the PGA of America and the Honda Classic golf tournament. So the prices will jump really high during major tournaments, $300+ a night. So keep an eye out for that Honda Classic which is usually in February / March time frame. But on the flip side the prices really drop from May – September, from $100+ a night plus they have great deals. Remember, this resort has the following mandatory hotel-imposed fees. They will be charged and collected by the hotel either at check-in or check-out. You will see when you make your reservation. Resort Fees are becoming more and more common among hotels. The hotel resort fee is US$ 25 per room, per night, which includes, use of fitness center or health club, Internet access, Newspaper delivered to your room, Free Local Phone calls, and In-room coffee. The above list may not be comprehensive and you will want to ask about them upon check in. Mandatory hotel-imposed fees may not include tax and are subject to change. Also, the following fees and deposits are charged by the property at time of service, check-in, or check-out, valet parking, US $20 a day, Pets Deposit, US$ 150 per stay. This resort gets mostly rave reviews from most consumers on the net with an average of 4.3 out 5, 87% of travelers (51 of 58) recommend this hotel.from the reviewers on Expedia and Trip Advisor had 80% recommend this hotel out of 248 reviews. There were a few complaints, about the Golf fees being too high during the winter season, the room was not ready upon arrival, and guests were not prepared to pay the resort fees. Remember resort fees seem to be here to stay so prepare yourself for them. 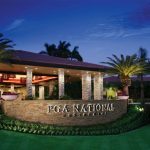 Where Can I Book My Stay for PGA National Resort and Spa? You can reserved your room on Expedia and expect to get a great rate there. From what I can tell their rates compare to anyone on the internet. Right now I noticed they are offering the best deal of any rates and giving 30% off the rack rate. Maybe a great time to travel. 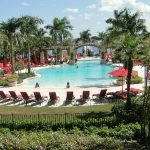 Where can you read more reviews for PGA Resort Spa? You may be the type of a person that doesn’t mind spending the kind of money that is required to stay at a 4 star resort especially if you want to be treated special during your vacation. Then you will love the PGA National Resort & Spa. This Palm Beach Gardens resort is graced by small lakes and stream, which now includes the PGA’s national headquarters, a symbol of the resort focus is on golf of coarse. 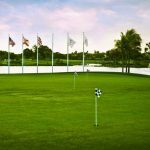 A quick history of PGA is that after several moves to different offices in Florida during the 1960s and 1970s, the PGA found a site in Palm Beach Gardens, Florida to build a permanent headquarters facility, and relocated its operations there in 1981. That same year the PGA and the PGA Tour established a joint merchandising venture which included this amazing resort. Then the PGA started catering to leisure travelers which have come to this resort for the health spa, pools, spa tubs, and other facilities that make this a destination resort for families and couples. Since this resort is all about Golf, you would really want to come here because of this sport. You don’t have to be a professional but have the spirit to learn or get better. Now if you are really good Golfer and you can play the Championship course. This where the Honda Classic tournament is played on. Caddies are available to all golfers using the PGA National Resort & Spa’s championship course. I would recommend you use the caddies to navigate around this course, otherwise, you could be looking for golf balls all day long in the roughs or waterways. The caddy services are available for a surcharge only and include golf-ball and club cleaning, golf-course information, location assistance, club-selection assistance. If you did not come prepared for your golf experience or just starting out with this sport, The PGA National Pro Shop provides a wide variety of resort wear, golf and gift items. This is where you get fitted with perfect set of Clubs. You can rent golf clubs if you don’t want to bring them or a beginner. For me, as a beginner I plan to take the group lesson, private lesson are available also. The group lesson are $50 an hour versus $200 for a private lesson, both lessons include clubs and instructor. The Golf Pro Shop is open daily from 7:00 a.m. until 6:00 p.m to service members and their guests. Offering a selection of fine gifts, equipment and logoed golf apparel for both men and women, this state-of-the-art shop, showcases many of the top merchandise and clothing lines, including: Titleist, Callaway, Izod, Polo, Nicklaus, Haley, EP and Bette and Court. In order to have access to the spa’s pools is complimentary for guests booking spa treatments. Others may use the pools for a daily surcharge when the spa isn’t busy. The spa facilities include 21 massage rooms, eight facial rooms, and two hydrotherapy rooms, which means.a complex of swimming, soaking, and bubbling pools. Treatment options include massage for couples, Reiki massage, which is the usage of spiritual energy to heal a person’s aura or situation.and includes rubbing and kneading different parts of the body, or hot-and-cold stone therapy, which utilizes approximately 85 stones in varying temperatures and sizes. The heat from warm basalt stones penetrates deeply to help loosen and sooth tighten congested muscles. In addition, you have the choice of a alpha-beta-peel facials, facials, body scrubs and wraps, and water therapies in the salt pools. The beauty salon offers hair and nail care (including aromatherapy pedicures), waxing, and makeup and makeover services. I don’t know all about these services but it sure does sound good and very relaxing. I know my wife and I like to stay active and we work out often. So the choice of using the 32,000-square-foot, complimentary Health & Racquet Club is real plus for us. This health club contains a racquetball court, cardio and weight machines, free weights, spinners, and features a separate personal-training room (surcharges for trainers) and locker-room with spa tubs. (The men’s side also contains a sauna.) My wife love the part of the resort, to burn calories to later gain it back with delicious meals later in the evening. The health club also provides complimentary classes include Pilates, which is using the proper body mechanics, movements, truncal and pelvic stabilization, coordinated breathing, and muscle contractions to promote strengthening, or yoga, which is a combination of breathing exercises, physical postures, and meditation. Have fun with dance step, line dance, stretch, pool aerobics, spinning, you will definitely get into shape here. You don’t want anyone around private tap-dance and Pilates sessions are available for surcharges. Other services offered for surcharges include nutrition counseling, fitness evaluations, and body-composition testing. Outside the club is a 45-foot, five-lane lap pool. Also which I find very cool, the Health and Fitness Center has a lush zero-entry pool. Food is big part of any one’s stay and everyone wants great food. This resort does does not shy away from this by offering great restaurants and quick food places. There are seven onsite restaurants and lounges, from the fine steaks and seafood at Ironwood Grille to the crisp fare of Wave Grill The resort provides complimentary breakfast for children younger than 12. There is room service but does have limited hours so asked about the hours when checking in. You may feel the vibrant buzz as you enter the spacious lobby, and enjoy a cocktail in the savvy, sophisticated iBar. The resort does caters to all sorts of folks and if you have a little money to splurge or planning a big function, like a wedding, you may want to consider this resort because it offfers Limo or Town Car services, The banquet facilities, has a many large ballrooms. Of coarse they can cater all types of events. Then if you have to bring your business meeting to South Florida, this might be a great choice, business and golf. I hear they go together. They have many conference rooms and exhibit space too which includes audio-vsual equipment, secretarial services, and Internet access – wireless. PGA National Resort delivers a sense of taste and style that fits your sensibilities yet gratifies with state of the art amenities so you should be getting 4 star accommodations. When you are looking to book your room, you will have different choices, Standard Guestroom Limited View, Superior guest room, Premium guest room all these rooms includes 1 king bed or 2 double beds. Pillowtop mattress. In-room safe. Cable/satellite TV. Television. Premium TV channel(s). Multi-line phone. Free local calls. Voice mail. Clock radio. Coffee/tea maker. Complimentary toiletries. Iron/ironing board. Complimentary newspaper. Blackout drapes/curtains. Air conditioning. Climate control. Each upgrade of the room gives you better view and slightly more space within the room. The Superior guestroom is well appointed with a private terrace or balcony, flat screen television, wireless internet access, dual line telephones, MP3 compatible radios, honor bar, signature bathroom amenities, hairdryers, robes and on-command video service. I guess in the day in age, if you have a family, you don’t leave the children behind any more. That is why more and more 4 star resort are accommodating the younger clients. Its a good thing that Palm Beach Gardens is close to Playmobil Fun Park – 5.2 km / 3.2 mi, The Gardens Mall – 5.6 km / 3.5 mi, Roger Dean Baseball Stadium, the “A” team of the Florida Marlins – 6.9 km / 4.3 mi, & Rapids Water Park – 7.4 km / 4.6 mi. If you and your spouse both love Golf and the Spa, I guess you will have to split up your duties and take the kiddies to these fun choices. North of Palm Beach Shores on Singer Island, the 325-acre MacArthur Beach State Park serves as a preserve for coastal habitats and offers two miles of beach. The PGA Resort does have all the amenities that most travelers need like ATM/banking, gift shops / newsstand, laundry facilities, dry cleaning/laundry service, shoe shine. Complimentary 24-hour shuttle service transports guests around the 2,340-acre resort. This can be a plus for those that don’t want to hassle with driving, there also is airport transportation (surcharge $30 – $60pp) You may see complementary transportation online but it is not free after I checked with the hotel. Now in this politically correct world of non-smoking, there is some relief for the smokers out there, a designated smoking areas and smoking is permitted on balconies of your room, otherwise the property is smoke free. Florida has high season and low season. The Winter and early spring are definitely the high season and you need to be be prepared to pay more during this time, prices can range from $200+ a night. Remember this resort is the home is home to the PGA of America and the Honda Classic golf tournament. So the prices will jump really high during major tournaments, $300+ a night. 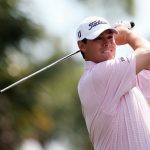 So keep eye out for that Honda Classic is usually in February / March time frame. But on the flip side the prices really drop from May – September, from $100+ a night plus they have great deals.